Home Facts Praying Mantis Life Span – How Long Do Praying Mantis Live? Praying Mantis Life Span – How Long Do Praying Mantis Live? There are hundreds of different mantis species distributed all across the globe. Each of these species has its own life cycle and lifespan. The smaller praying mantis lives around one or two months while the bigger individuals can live as long as four to six months, still a few may survive up to 360 days. 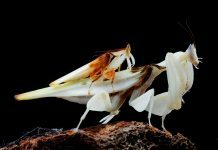 The one-year-lifespan in mantises is probably too rare. 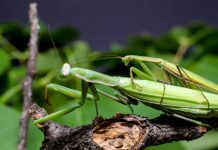 Praying Mantis Lifespan – How Long Do Praying Mantis Live? 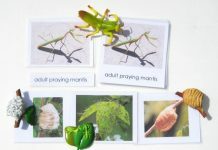 There are several factors that play a key role in determining the overall life expectancy of a praying mantis. For instance, the availability and the quality of food largely affect the growth rate of a mantis. The greater is the food the greater is the lifespan of a mantis. By food we mean the primary diet of a mantis i.e. arthropods. 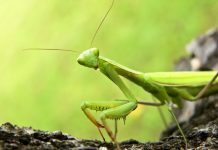 Most praying mantises can survive up to 8 weeks but there are certain species that hardly survive a month. Giant Asian praying mantis has an estimated lifespan of about 18 to 24 months. Giant Asian praying mantis has an estimated lifespan of about 18 to 24 months. 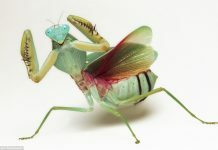 All throughout the life mantis sheds its skin and undergo numerous mini metamorphoses. 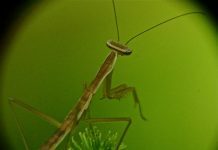 Thus the minimum lifespan of a praying mantis is one month while the maximum is about one year but very few mantises are fortunate enough to live that much time—not even the bigger species.